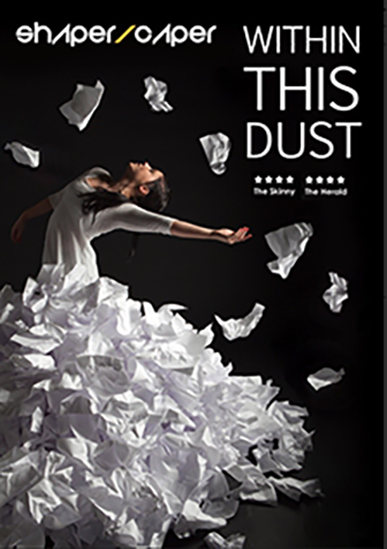 Exploring the events of 9/11, multi award-winning choreographer and Artist in Residence at BBC Radio 2, Thomas Small, presents his critically acclaimed dance theatre production 'Within This Dust'. Inspired by Richard Drew's iconic images of a man falling from the World Trade Centre during the attacks , Within this Dust has been presented to sell out audiences around the world including Sao Paulo, Berlin and New York City 3 times. This cinematic performance by Dundee based dance company Shaper/Caper, follows a sell out performance at the 9/11 Memorial & Museum in NYC and includes 3 live dance works blended with animation and survivor's accounts, which balance beautiful movement and subtle storytelling to explore themes of impact, loss, survival and humanity in relation to the stark horror of that day.